Seems like Lightbox no longer likes working with Unotelly. I have had it working perfectly for as long as Lightbox has been around but when I try my PS3 or Samsung smart TV I get a message saying Lightbox is undergoing maintenance. When I switch DNS back to auto then hey presto Lightbox is working fine. Same with IPad...got a message saying I was offline ( I most defiinately wasn't!) then I switched DNS to auto and yep it worked. No such issues with Netflix just Lightbox. Even with dynamo turned off on unotelly, I get buffering, it not loading and some shows won't play at all. Only way I can get lightbox to work reliably is to use my isp's (spark in my case) dns server. Seems the same for sky go too. Used to be able to play this with channel 2 turned off on the Unotelly settings....but now all I get is "stream concurrency error" . Have Lightbox and Sky started firing the first shots in the Geo blocking war!? Yep I ran in to this little brick wall over the weekend. I now keep my router DNS set to spark, TV DNS to spark and have my WDTV live set to unotelly DNS. This way I have Netflix NZ and Lightbox on the TV smart apps (Samsung) and the worldwide Netflix on WDTV live. I also set my ipad DNS to unotelly for BBC iplayer and Netflix. If I really wanted to or needed to then I an cast the screen from ipad to tv etc.. or plug it in via hdmi out ... where there is a will there is a way. Me too. This is mindnumbing. Rather than set the Unotelly info at the device level we configured our router with their DNS server. Lightbox gives an error message. Just tried entering the Spark DNS in my Samsung TV and it's still giving the same error. Grrrrrr. There aren't any changes that we've implemented that would impact this - it's possible that a change at the Unotelly end may be the culprit? robbon44: Yep I ran in to this little brick wall over the weekend. I would log a fault with unotelly and say it's not working. I suspect Akamai may have changed something so unotelly need to fix their dns mapping up. But it's still not working on our second Samsung Smart tV. What is yr Samsung DNS set to? is it a unotelly one or the roku ? Did you change the router ? anyone got a roku AND lightbox with their router DNS changed from a spark default DNS ? A significant part of how some CDNs decide on where to serve your Lightbox traffic from is based on the IP of the DNS referrer your request comes from. Different CDNs do things differently, but Akamai (which serve Lightbox traffic) usually use DNS referrer. It's not surprising to me that using a non-Spark DNS server could result in you potentially being mapped to a different Akamai server which may or may not be in the geo locality licensed for the content. I get it, there are reasons to use non-ISP DNS servers, but it's usually best to leave them alone if you can. i kinda understand that but is there a way around it to get both the roku and lightbox working the way i want? other than having two internet connections ? 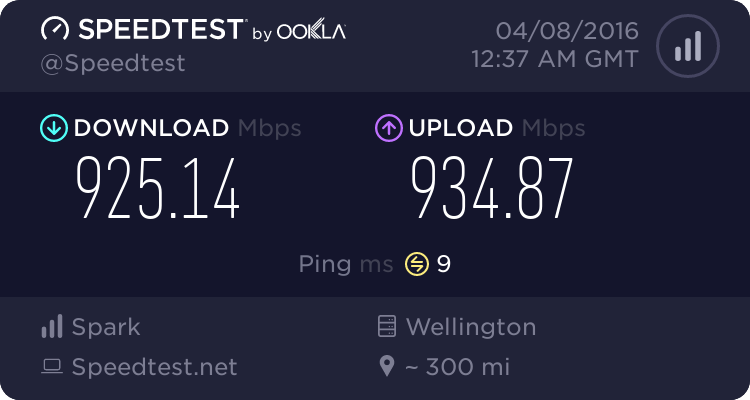 can i run two routers off of one feed ? one set to default DNS the other set to unotelly ? robbon44: i kinda understand that but is there a way around it to get both the roku and lightbox working the way i want? other than having two internet connections ? can i run two routers off of one feed ? one set to default DNS the other set to unotelly ? Sorry, I honestly don't use a Roku or Unotelly so I don't understand what the capabilities are but I would point out that on most devices you can set DNS servers directly. That shoudl allow two different devices to use different DNS servers. Of course I imagine that Unotelly screws around with DNS servers itself which might be an issue. Create you own DNS server using bind9, run on raspberry pi maybe. Forward the traffic as required to whatever DNS servers you wish.